This profusely illustrated book is one of the most complete explorations of the symbolism within the 22 major arcana of the tarot. 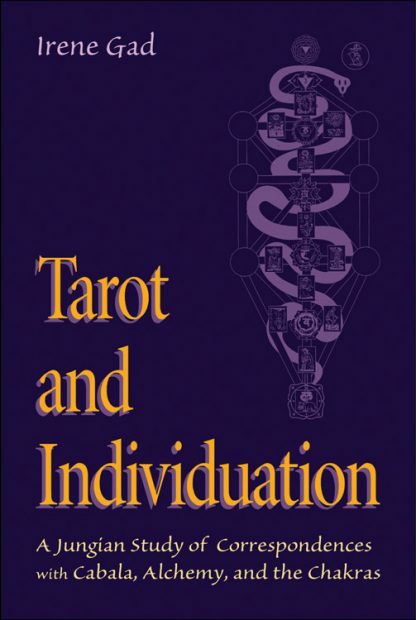 Gad's amplification of the tarot's cabalistic and alchemical symbolism reveals the wisdom of ages of seekers who have gone before us, leaving us this roadmap to individuation and spiritual attainment. This new revised edition includes a new preface and a section on Kundalini Yoga and the correspondences of the major arcana with the chakras. With the 79 layouts in this book, it provides a tool for maintaining the well-being of the energetic body as well as the spiritual and psychological. Dr. Irene Gad received her M.D. from the Medical School in Bucharest, Romania, and her Master of Arts in Psychology from Denver University. She has taught experimental psychology and human sexuality at the university level and has published numerous articles in her field. In 1980 she started analytic training in Zurich, Switzerland at the C.G. Jung Institute. Since 1994 she has been co-leading annual seminars on The Symbolic Life in Cape Cod, Massachusetts. She is currently a certified Jungian psychoanalyst with a private practice in the Washington, D.C. area.